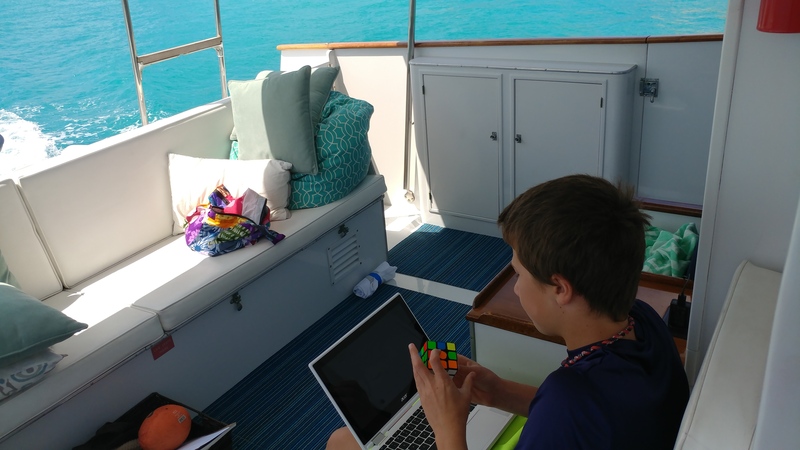 STUDENT SPOTLIGHT: Oliver has surprised us this year by putting in an enormous amount of his free time teaching himself the Rubik’s (and other) cubes. 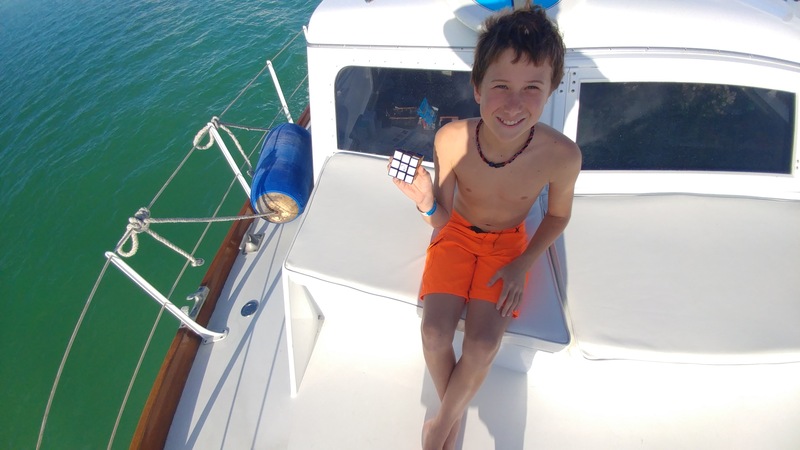 Today, he is competing at the Daytona, Florida ERAU Speedcubing competition. 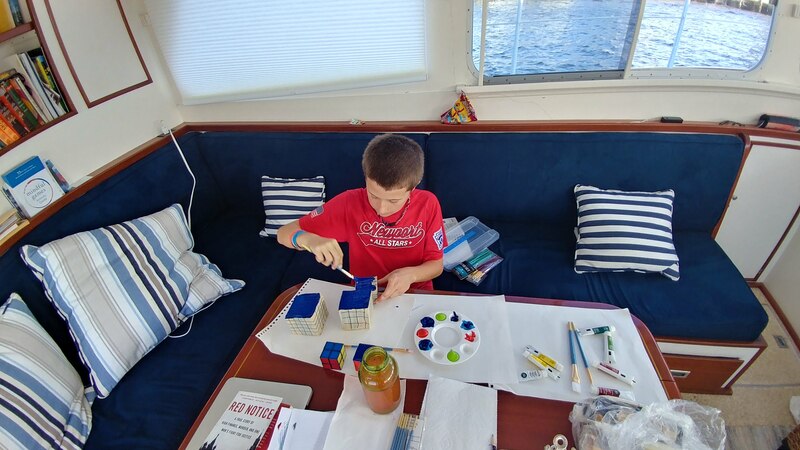 For his first event, Oliver will compete in the 2x2x2, the 3x3x3 and the Pyraminx categories. This particular event is sponsored by Cubicle.us and is one of many cubing competitions around the US. Regardless of the result, this will be such a cool experience for him. 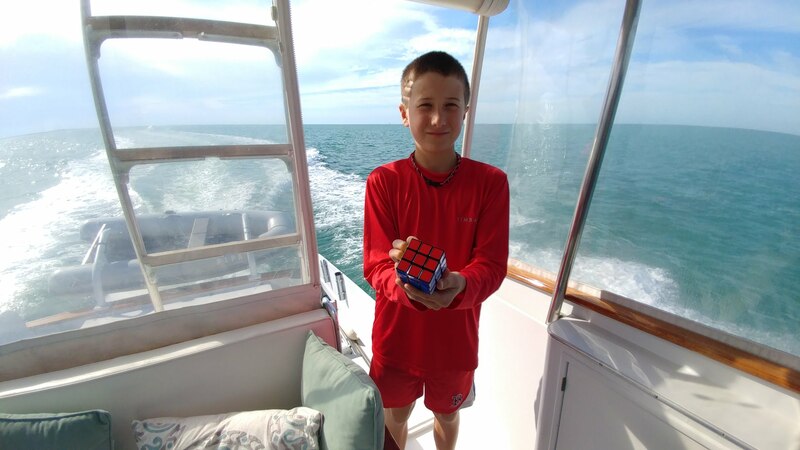 Oliver’s first solo-solve with the 3x3x3, in the Gulf of Mexico, near Key West. The day Oliver got caught cubing while driving. This resulted in immediate (temporary) firing of driving duties, a long lecture and extra chores. Aqua-blue ocean was no match for his attention, when there were algorithms to memorize. 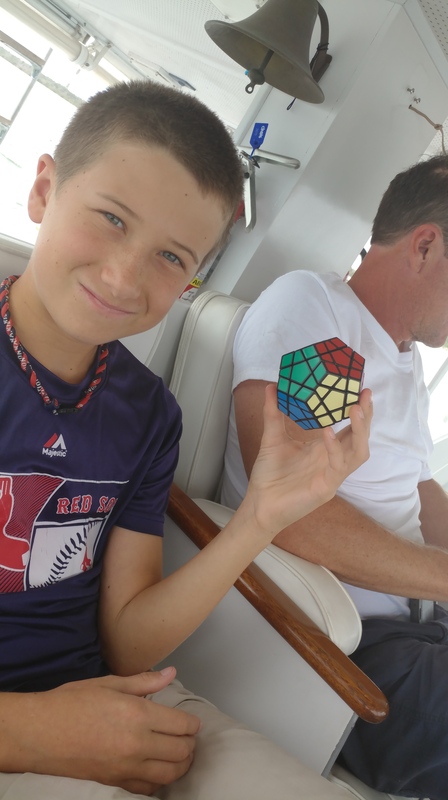 Oli solved the 12-sided Megaminx for the first time somewhere between Ft. Lauderdale and Jupiter, FL. Our collection so far, because. Cubes. Previous Post Braver, Stronger, Smarter. 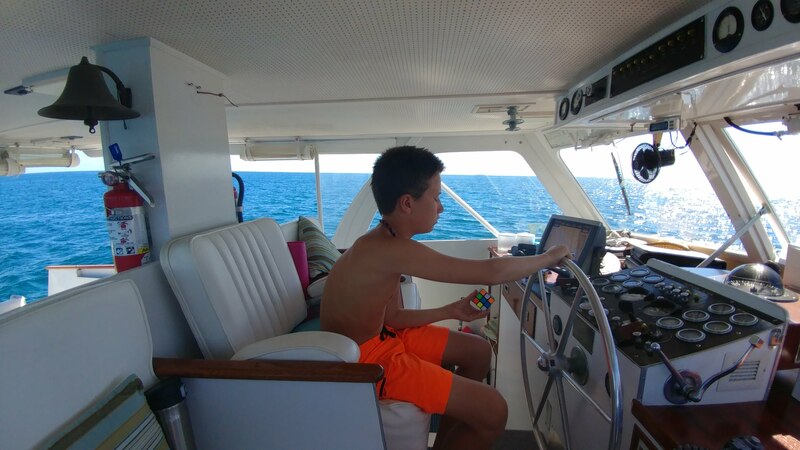 This is amazing….we are so proud of Oliver! Good luck in the competition. And how great that he is learning algorithms. He could look at a career in saving the rest of us from algorithm abusers who try to take advantage of us in various nefarious ways. He’d have to be better than they are, but he could be. There is a future in being the best/smartest good guy. You guys keep having so much fun! Marilyn, you are spot-on. I have a LOT of faith in this next generation… and for good reason.